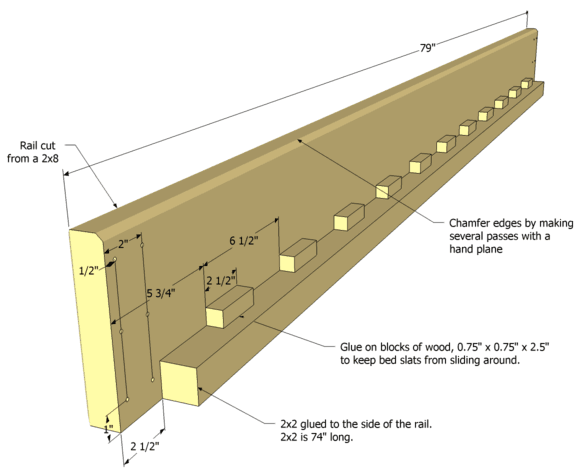 The bed side rails consist of 2x8 x 8' pieces of lumber, cut to 80" in length and 7" in width. Besides, this gives more room for the Calvin and Hobbes-esque monsters to hide under the bed. 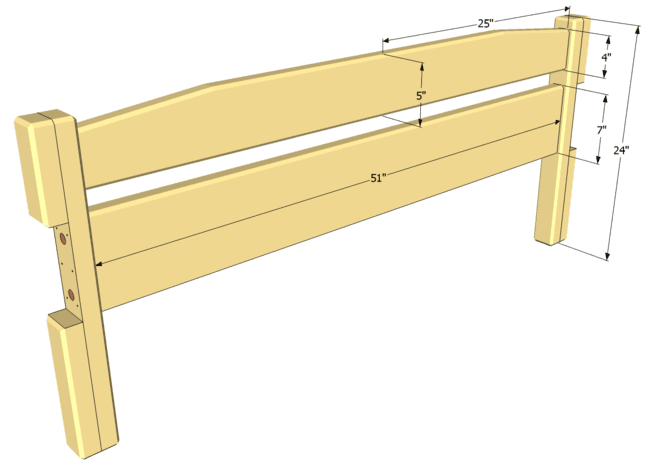 I am rather satisfied with how little time it took to build this bed, and how solid the whole thing ended up. Hardwoods in varying thickness from the knots and grain naturally characteristic of fine pine. Finished legs to prevent splintering of the outer veneer if the benchbench way.